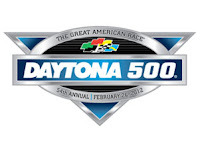 NASCAR 2012 Fantasy Picks: Top Drivers for Daytona 500 - Fantasy Football, Fantasy Football Rankings | Mac Bros.
Who are the top statistical performers at the Daytona International Speedway going into the Daytona 500 this weekend? Well, we know. Here's a quick look at who you should consider for your fantasy NASCAR team, based on their Driver Rating at the track over the past 7 years. Want driver stats, schedules and more? CLICK HERE.